Just because you’re doing your due-diligence and getting a yearly termite inspection doesn’t mean that your house is free from infestations. Infestations can occur at any time, including between inspections, and if you don’t know what to look for you can still fall victim to the “silent destroyer.” Here’s what to keep your eyes out for. Termites live underground or inside wood, so it isn’t always easy to spot them. Keep your eyes out for fallen wings or actual flying termites. These members of the colony have long translucent wings and a long, thin, light brown or off-white body. Termites create tunnels by burrowing through mud as they set up lines between their colony and various food sources. 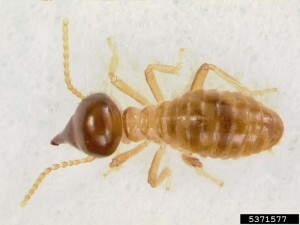 So, if you see dirt tubes near your home, this might be indicative of a termite infestation. They look like narrow raised channels in the dirt. They can also appear on solid surfaces such as brick or cement patios. Damaged wood, riddled with holes or cracks can indicate a termite infestation. If you find wood that has hollow spots that have been filled with mud or dirt you should call a pest exterminator, as this might be a sign of termites. Checking for termites doesn’t have to be a time-consuming process. In fact, you may notice some of these signs without having to do any extra looking at all.